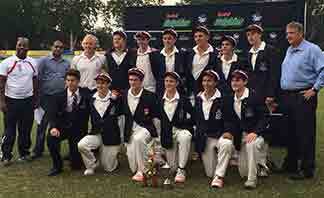 The KZN T20 Schools’ Final was played at the Maritzburg Oval last night between Kearsney and Hilton. Hilton won the toss and put Kearsney in to bat. 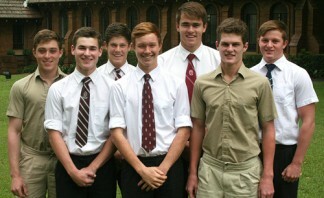 Kearsney managed 88 all out, with Patrick McGrath top-scoring with 29. In reply Hilton were on 38/5 in the 11th over and the game was in the balance. Hilton finished 11 short on 77/9. Kearsney’s best bowler was captain Brad Porteous who returned figures of 3-8 in 4 overs with 2 maidens. On the road to the final, Kearsney beat Clifton College by 93 runs in an emphatic T20 Coastal final at Sahara Kingsmead Stadium, following an excellent semi-final win over Glenwood. 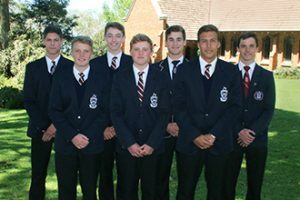 Kearsney will now represent the Dolphins franchise at the national T20 tournament in Potchefstroom from 19 to 21 March, against the winners of the five other provincial T20 tournaments. Congratulations to all these cricketers on this fine achievement.